Alqvimia has formulated a comprehensive cosmetic product that acts on all the necessary levels to care for your bust. Natural enhance the look and feel of the bust, lending firmness and restoring feminine beauty with softer and smoother skin. Anything to apply on the bust I would take extra care. I will prefer to use products that natural and safe. This Alqvimia Bust Firming Oil contains 100% natural ingredients such as almond oil, hazelnut oil, essential oils of lemon, geranium, orange, ylang-ylang and lemongrass. 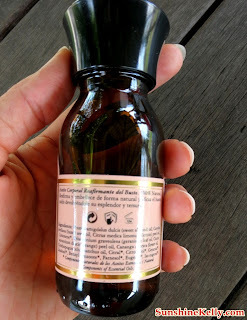 I like the aroma of the mixture of essential oil, especially the lemongrass. When massage the oil on the bust after like 3 minutes I can feel my body getting warm. Perhaps the oil and massage helps to improves blood circulation. There is a proper way for DIY Bust Massage, I have attached a picture here so you can follow the steps. The texture of the oil is not too thick. It is smooth and easy to massage plus absorb into skin. For bust I only use like four to five drops everyday morning and evening after shower. After a month, I can feel that the bust is firmer, smoother and moisturize. This bust oil is best to prevent sagging and wrinkle. Apart from bust, it is recommended to apply on lower abdomen, to help prevent symptoms of PMS such as menses pain. It is able to decongest and stimulate blocked ovaries. It improves skin elasticity and muscle tone through its increased regenerating and tightening properties. Plus it stimulates the microcirculation and cellular respiration of the adipose and connective tissue which may have been affected due to many different types of pathology. Besides, this Bust Forming Oil also moisturises and nourishes the skin, ensuring it does not become flaccid. Finally, its completely natural composition encourages the restructuring active ingredient to penetrate the skin and enables the gland volume to be shaped which, due to age or hormonal disorders, may have changed. Usage: Use twice a day, massage bust and lower abdomen morning and night. Gently massage in a circular motion 12 times clockwise and then 12 times anticlockwise until the product is completely absorbed. Recommend to use after a bath or shower when skin is slightly damp. Tips: Continue to use for 4 months after which rest for a month and resume as usual. Avoid using during menses days. Alternating with Bust Volume Oilto achieve a fuller, firmer and healthier bust. Sat, Sun & Public Holidays*: 9a.m. – 6p.m. 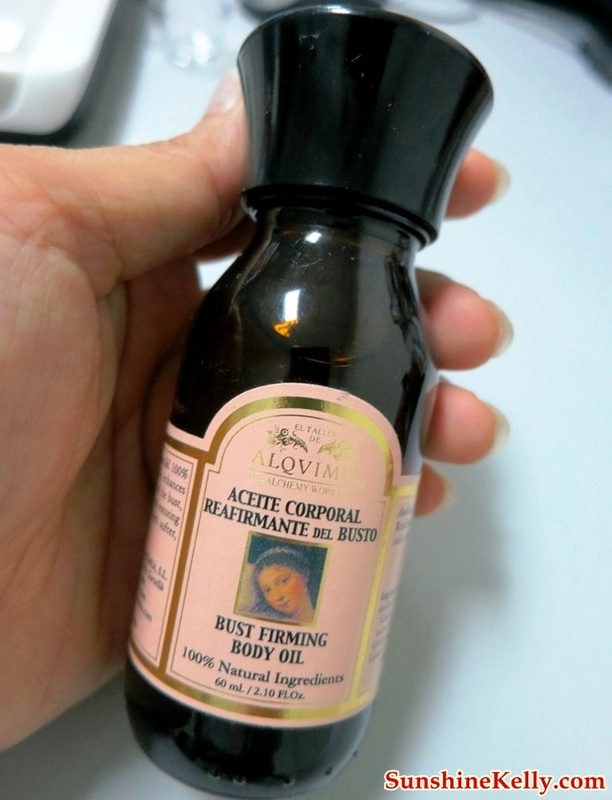 do you selling Alqvimia Body Sculptor Body Oil 5.25oz/150ml ? ?